Most people know of Bethany Hamilton and her incredible story of recovery from a tiger-shark attack that took her left arm 12 years ago in Hawaii. They may have seen her movie “Soul Surfer,” or on shows like “Oprah,” “The Tonight Show” or “The Amazing Race 25,” where she finished among the top three with her husband, Adam Dirks. 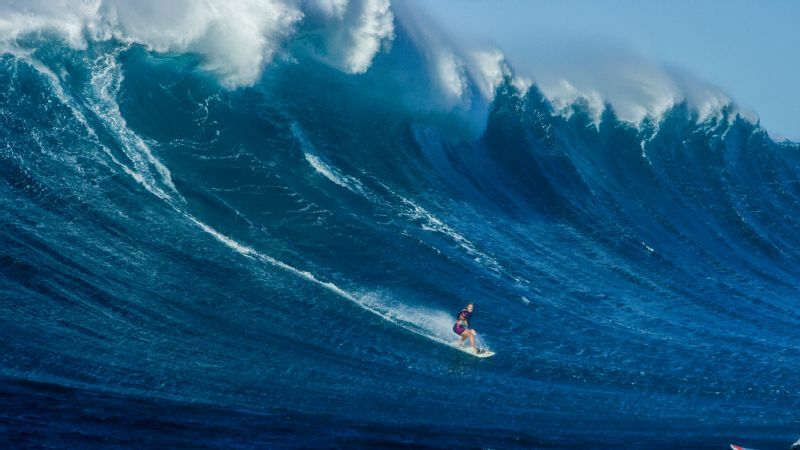 What most people don’t know, however, is just how well Bethany Hamilton can surf. 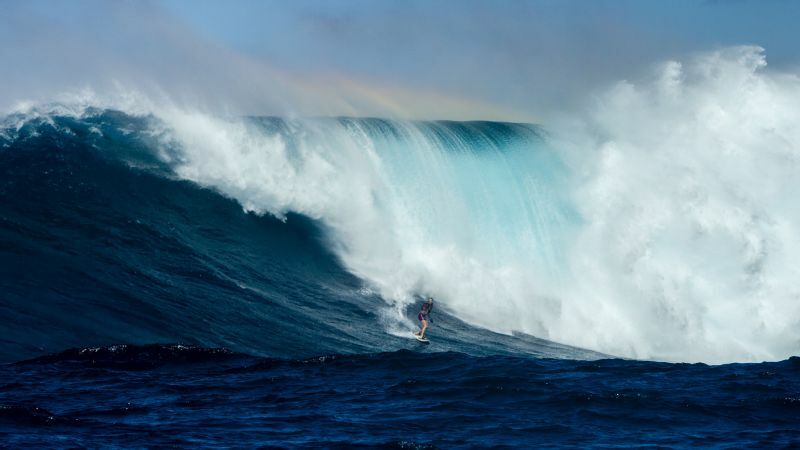 On Jan. 4, the new mother handed her 7-month-old son, Tobias, to the family babysitter, then tow-surfed into several 40-foot waves at the legendary big-wave spot named Jaws, also called Pe’ahi, in Maui, Hawaii. 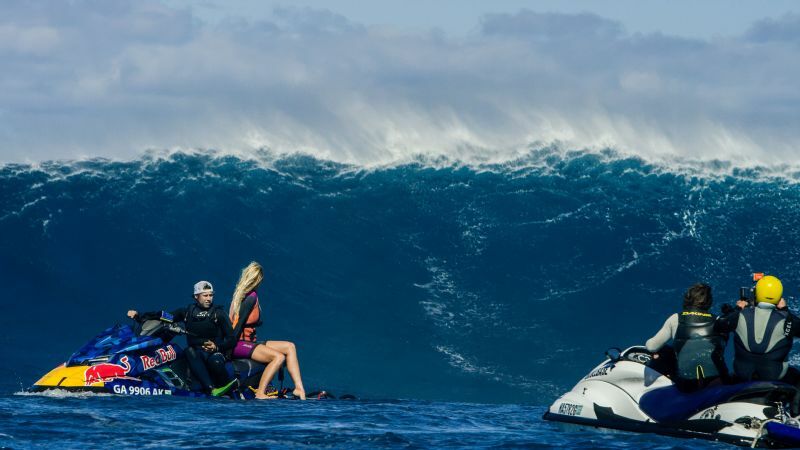 While only a handful of other females and a select group of males have ridden waves at Jaws, those who witnessed it firsthand say Hamilton is one of the best surfers to ride that wave — ever. I’ve been preparing for days like this since I was a young grom growing up in Kauai. My mom and dad charged big waves when they were younger, and my brothers pushed me into bigger waves where we grew up. Trying to tag along with my older brothers, I slowly grew more confident and comfortable. I’ve always been adventurous as well, from cliff jumping to freediving, and I love challenging myself. Bigger waves are a great way to push myself to do more. Being healthy and living an active lifestyle is also really important to me. If I could give advice to little girls, it’s that you should never compare yourself to other people. Instead, focus on being healthy and find a passion you love and be consistent with it. I am grateful for all God has given me on a daily basis, and I surf as much as I can. I think going out and surfing is the best training for actual surfing. If I am having a good session and out for five or more hours, sometimes my brother will paddle me out a sandwich in a Ziploc bag and a water. Besides surfing, I also do a lot of training with TRX bands and various breath-holding exercises. I like doing breath holds while watching the show “The Office,” because you have to hold your breath without busting up laughing. Marrying my husband and being a mom are the best things I have ever done. I adore my husband and he’s so supportive of me. Then having Tobias, who is part my husband and part me, has been the new highlight. The best part is now Adam and I get to share the adventure of starting a family together. Nothing can stop me with those two by my side. I had Tobias in the summer, so I have been lucky that I had a lot of time to train and prepare for Jaws. After giving birth, my abs were separated, but exercises like planks and hollow rocks helped me get back in shape. I think carrying Tobias has also made me stronger. Being a mom with one arm, I had a little fear in how I’d do certain things, but I knew I’d figure it out. I use my feet to stabilize him while I change his diaper, and I have figured out different ways to carry him around. Now that I am a mom, I definitely cherish my life even more. While in heavier surf like Jaws, it’s always in the back of your mind. I obviously want to live another day as a mom, so falling was the last thing I thought about while surfing there. I was honestly just excited about catching and riding the next wave. I made good decisions in the water. At Jaws, I had the right gear and an awesome rescue and safety team with Dennis “DK” Walsh and his brothers at my side. Catching a 40-foot set wave, I was so stoked, thankful, and it was the best feeling. Then to have my husband and dad watching and some of the best surfers in the water around me was a dream come true. Luckily the winter is just getting started. I just can’t wait to surf more big waves all over the world. I’m making another movie, “Surfs Like a Girl.” I hope I can show people I am more than a one-armed surfer. I’d love for people to be stoked about me for all of my abilities, and I hope to get other girls excited about going for their goals and dreams, no matter what’s in their way.